Multiple packaging over the years, from a box to a sleeve... same disc contained. For extended details on the MCA DiscoVision release of Elton John: In Concert at Edinburgh, please visit the BLAM Entertainment Web Site. 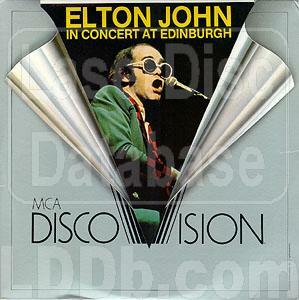 Does not contain the standard Discovision disclaimer. © 2002-2019 / Contact: Time elapsed: 0.112 sec.